Thanks to the folks at prasino in St. Charles for inviting me to visit and try out some of their food and drink! 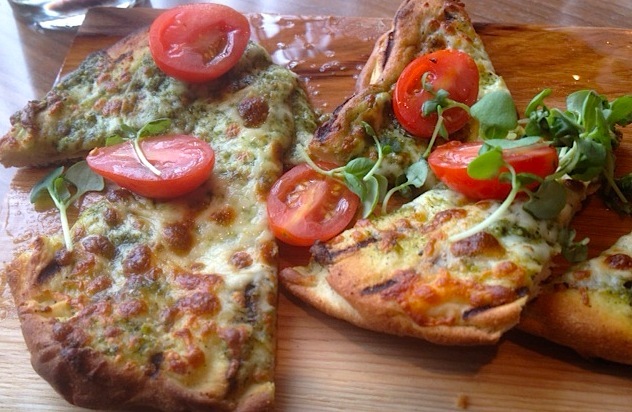 Up first was a delicious Magherita Flatbread. It went well with Goose Island Nut Brown Ale. Then came the Lobster Avocado appetizer. 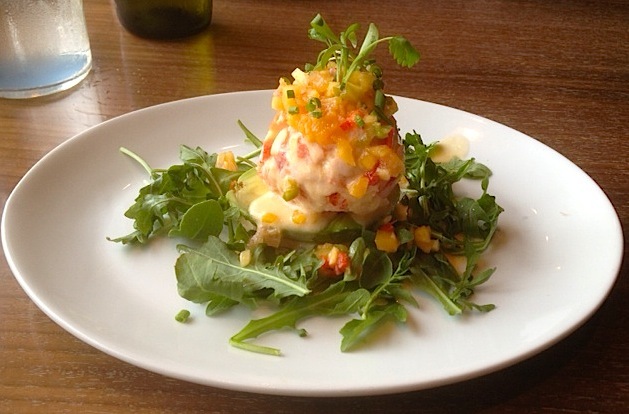 It contains chunks of chilled lobster atop an avocado. A nice looking dish with some interesting flavor combos. 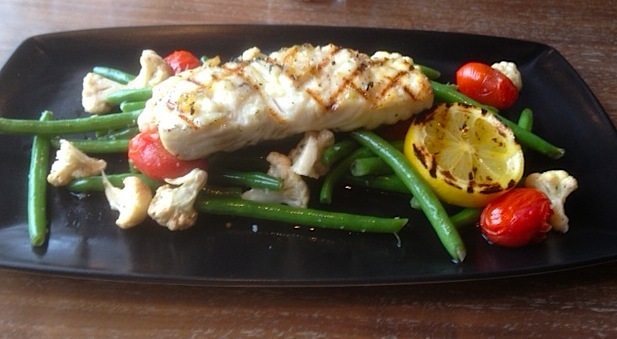 The Halibut was a gorgeous and tasty chunk of fish, nicely grilled and presented. 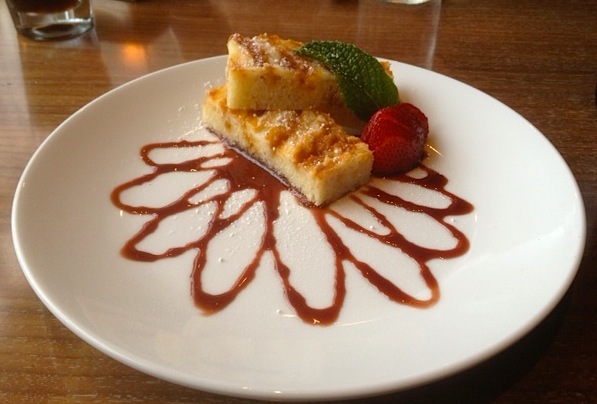 And here’s prasino’s take on Gooey Butter Cake. Looks good, no? FYI, prasino is located where the old Noah’s Ark used to be, at the 5th Street exit off I-70. Find them online by clicking HERE. Check their menus. They are open for breakfast, lunch, dinner and late evening. For your Google map: 1520 S. 5th St. St. Charles, MO 63303.